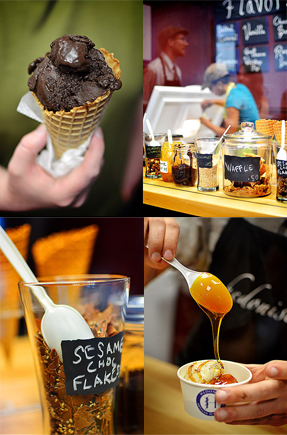 Hedonist Artisan Ice Cream is an ice cream shop operating on South Avenue in the South Wedge, started by the owners of Hedonist Artisan Chocolates. It opened on June 1, 2012. We craft our small batch, super premium ice creams and sorbets in the heart of Rochester NY's South Wedge neighborhood. We use local cream and the finest natural ingredients to create decadent flavors that bring pleasure with every bite.